Oral appliance therapy (OA) is recommended for patients with obstructive sleep apnea (OSA) who can't tolerate continuous positive airway pressure (CPAP) therapy or prefer alternate therapy. 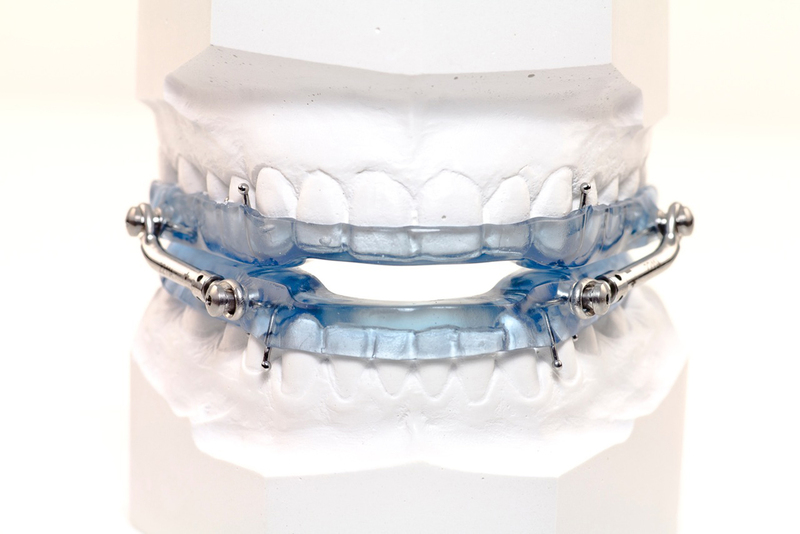 Also know as a mandibular repositioning device, the OA fits in the mouth: it’s a small, plastic device similar to an orthodontic retainer or sports mouth guard. The OA holds the lower jaw forward to help keep the airway open and prevents apneas (pauses in breathing) while you sleep. A variety of oral appliances are available for the treatment of OSA. These devices may be used alone or in conjunction with other means of managing OSA, such as weight management or CPAP. Custom-made OAs are proven to be more effective than over-the-counter or online-purchased OAs, which are not recommended. Several factors need to be taken into consideration when making an OA, such as teeth grinding or TMJ, and an experienced dentist in making OAs can best determine what type of OA and what level of advancement is needed. In addition, a dentist that makes oral appliances may also work with the patient’s health care provider or sleep specialist throughout the OA therapy process. Oral appliances have gained in popularity because they are simple to use and easily transported, fitting in an oral retainer-sized container. I'm interested. What are the next steps? You will first need to meet with a sleep provider to determine if you have OSA. If your provider suspects you do, you will need to have an overnight sleep study or a home sleep apnea test done. If you do have OSA, your provider will then review the appropriate treatment options for you. To schedule an appointment with a sleep specialist, call (585) 385.6070 the location nearest you or contact us.